At the historic Motorsport show Race Retro 2014, Fiat brought its enlightening models portraying its powerful hatchbacks and narrating the rich racing heritage it carries. 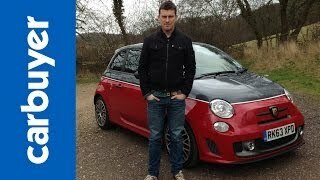 Here we’ll be talking about the Fiat Abarth 595 Competizione 2014 which marked its presence with 595 Anniversario special edition, and 695 Edizione Maserati. 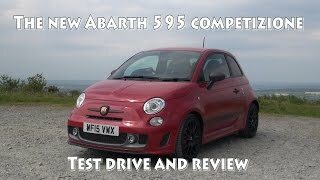 Let us have a look at the Fiat Abarth 595 Competizione 2014 review to find out what made this model gain so many accolades. 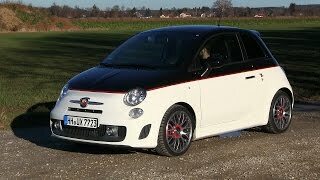 The Fiat Abarth 595 Competizione 2014 is based upon Fiat 500 but wrapped in little more sportier appearance. The model sits comparatively low and looks sporty with the 17 inch wheels getting perfectly covered by the arches. Sitting at front are oval headlights above the honeycomb mesh grille integrated in bumper with pair of fog lamps. Fenders come adored with vertical air vents delivering some fresh air to wheels through 205/40 Pirelli p Zero Neros tyres. Moving inside the Fiat Abarth 595 Competizione 2014 you’ll again find things matching standard model; however with most of the work done with hard plastic, interior looks really spacious and comfortable. ‘Cool steering wheel’ comes mounted over the floating dashboard and this is where you can notice little leather (including seats) and carbon fiber (door panels). 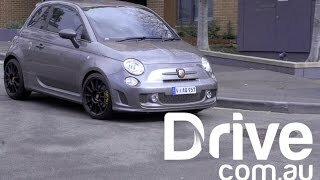 In all rounding up the interior and exterior details of Fiat Abarth 595 Competizione 2014, all we would say is that with hints from Fiat 500 model we saw last year the model has been blended up an inch portraying sportier appearance. 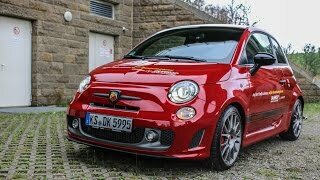 The Fiat Abarth 595 Competizione 2014 brings under its hood a 1.4 Liter T-Jet engine generating total output of 180 hp and peak torque of 230 nm paired to five-speed automatic gearbox. With its power rolling the 17-inch wheels top speed of Fiat Abarth 595 Competizione 2014 touched the mark of 130 mph and can knock down the 0-62 mph sprint in 10.3 seconds.